1 photograph : b&w ; 4.6 x 6.5 in. Item is a photograph of the Arts Building (University Club), Macdonald Library (Macdonald Building), and Science Building (Chemistry Building) on Dalhousie University's Studley Campus. 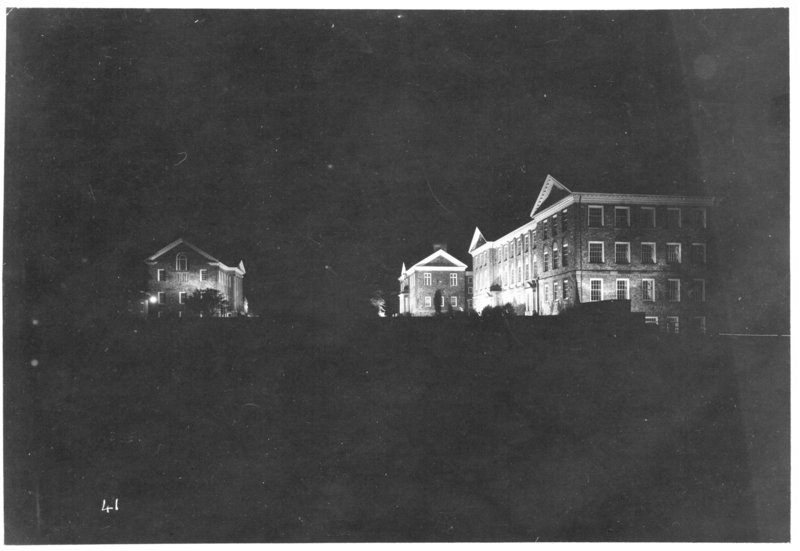 The photograph was taken at night with lights shining on the three buildings. The photograph was taken during a Dalhousie reunion in 1924.